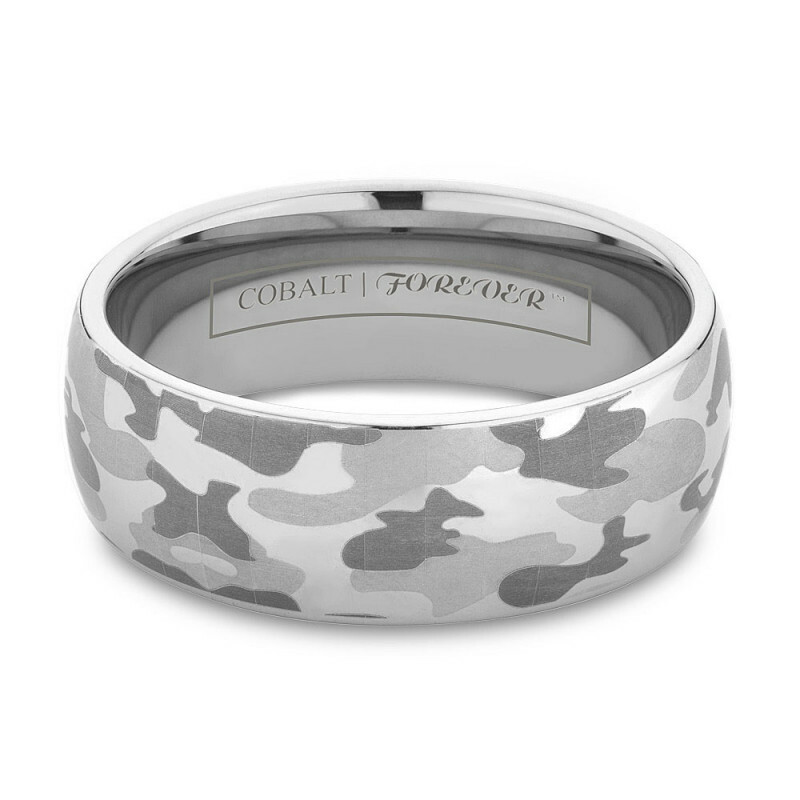 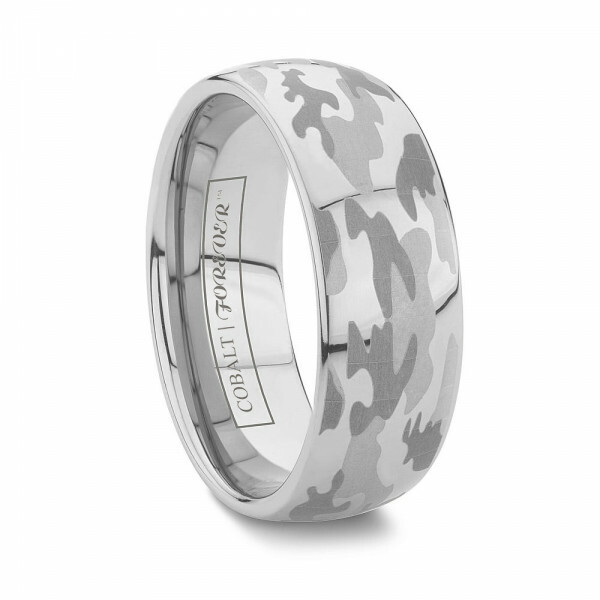 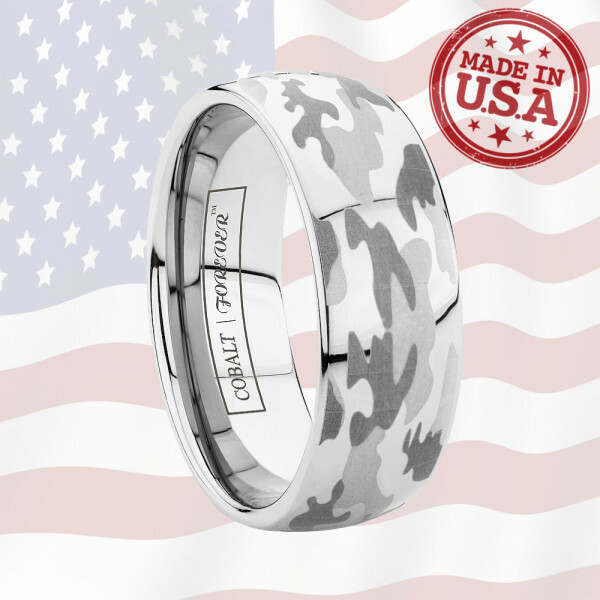 The original camo wedding band is now available in cobalt chrome. This domed cobalt ring is highly polished and detailed with TungstenWorld.com's exclusive camouflage pattern. 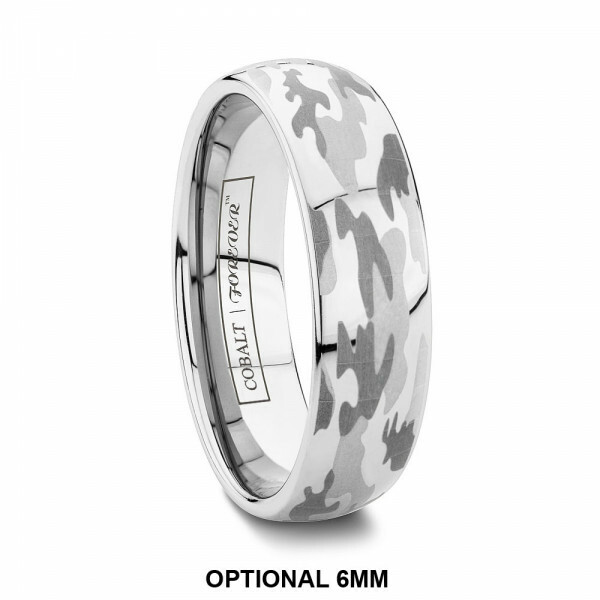 Simple in its classic round style but unique in detail, this camo cobalt wedding band makes the perfect pair in 6mm and 8mm widths. 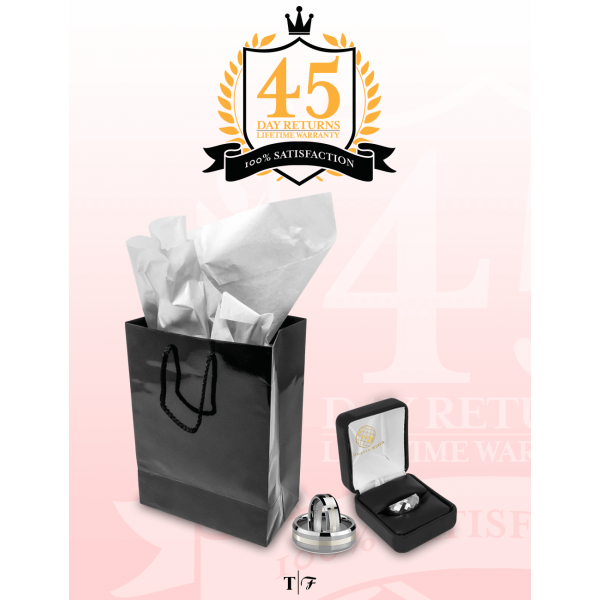 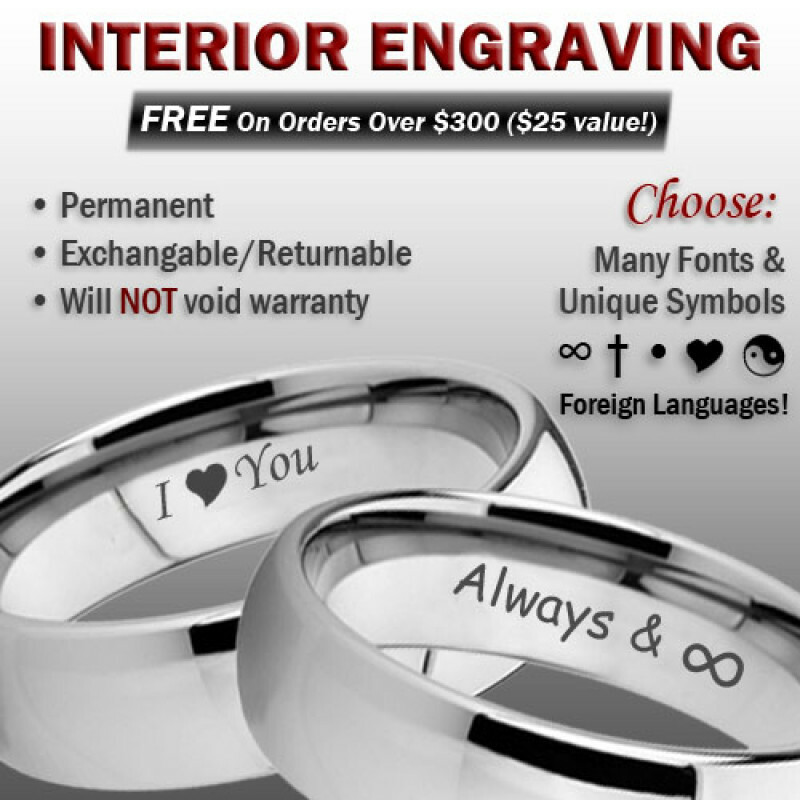 Lifetime Sizing, Lifetime Warranty.